HAPPY BIRTHDAY TO AIDEN AND PAUL!!!!!!! Today, June 29, is my nephew Aiden’s Birthday. He is 12 years old today. To him, I want to say Happy Birthday and hope you are having a great day! Tomorrow is my cousin Paul’s birthday. He is six months older than me and so much fun. Happy birthday to you too Paul. Love ya cuz! I hope that both of these great guys have fun days. Love you both so much! I wish I could be with both of you! Just four more days of June left. Wow! Where has the month gone? It seems like we just started it and our summer. And now we are nearly halfway the summer through already. Time certainly does fly as we get older, doesn’t it?! 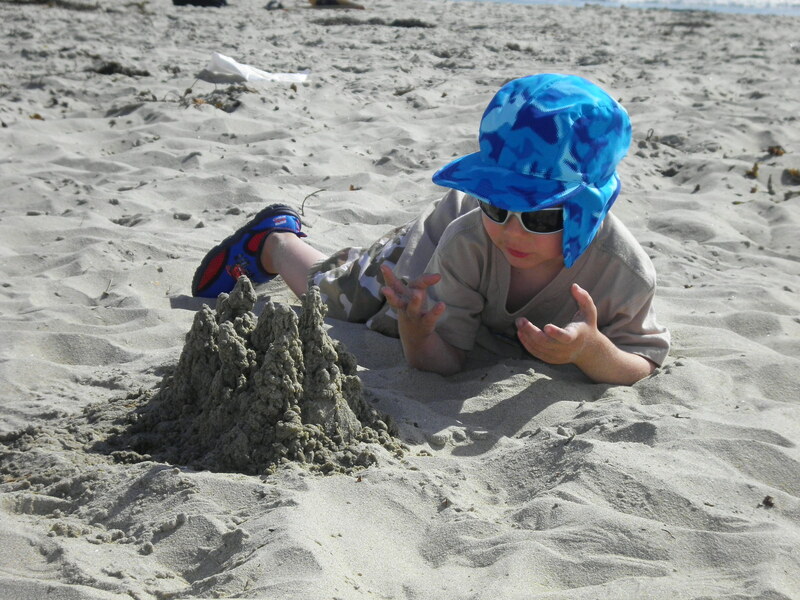 Here is a really sweet picture of Ian at the beach in Fort Pierce, Florida. He was about 2 years old. I love how it looks like he can reach out and touch the water. “Look Mommy, almost got it” is what he is seeming to say. As you can see on the sand, the beach is covered with shells. This was a great shelling beach. We had to wear our shoes to keep our feet safe. Fun times! Since this picture was taken, Ian has grown and changed so much. His feet are now probably twice as big and he is much taller. Amazing he was ever this little. I wonder what our summer Thursday has in store for us? I hope it’s something fun! Hi and Happy Monday. Hard to believe that this is the next to last Monday of June. Where has this year gone? It has truly flown by!! Today I have much on my mind. Thus the musings for today. First is the picture for today. 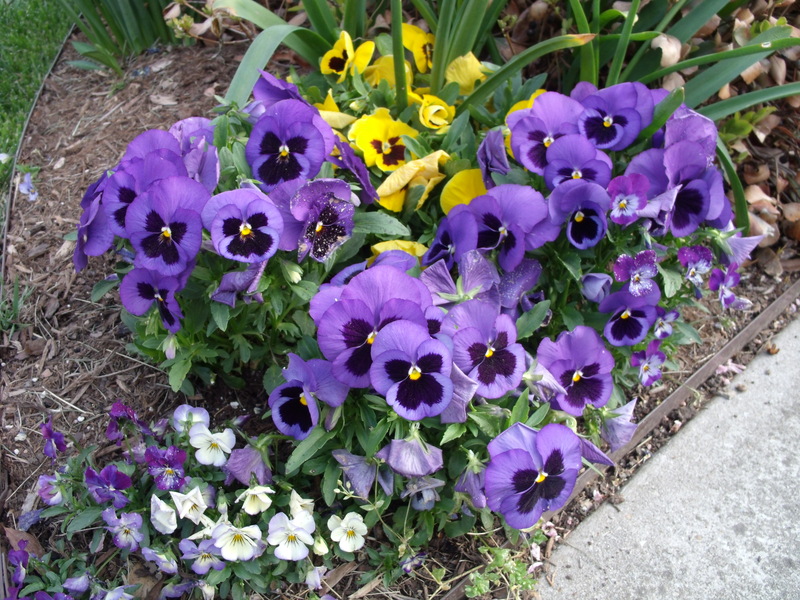 I like the color of the flowers and the beauty of them. 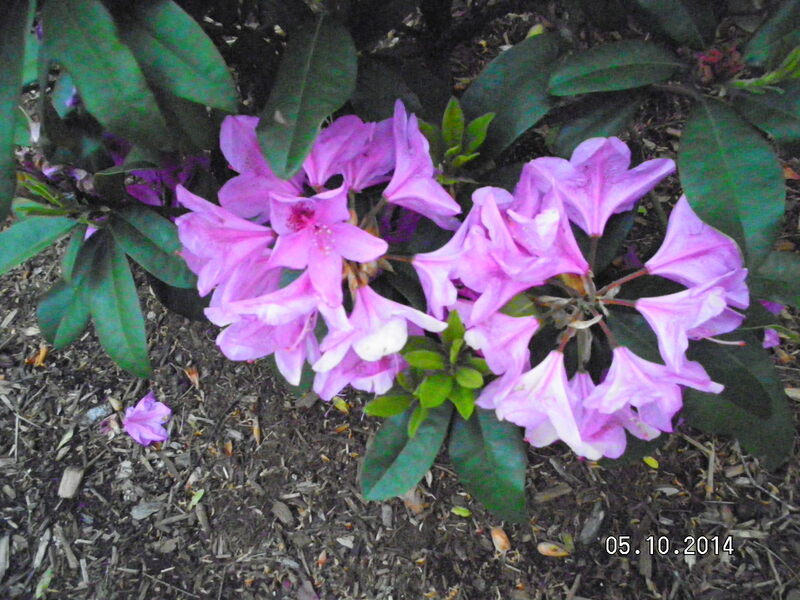 I took the photo in May but thought it worked for June flowers. **Tomorrow, Tuesday, June 24, is the day for a stem cell transplant for one of my friends. She has leukemia and this is her second transplant. My thoughts and prayers are with her and her family. She has already been through so much, yet remains strong and positive. I pray her procedure will go well and she will be restored to good health. My prayers are also with her husband, son, family, and dear friends who are there to support her. Lord, please stretch out your healing hand on my friend!!! **On Good Morning America this morning, there was a story about a man who had been arrested for leaving his son in the car for hours. The boy died. This story truly saddened me for the suffering that child must have endured, for the father who now has to live with this, and for the rest of the family. I will be watching cars carefully this summer to be sure no children or pets are inside. I hope and pray to not see any. **Also on GMA, they showed the winner of the ugliest dog contest. His name is Peanut and he is something else. His owner said he was burned as a puppy and she will be using the money she won to help with costs for abused animals. What a great cause! Sad that it is needed, but so awesome that this kind woman now has a platform to discuss it. May we take care of our pets and treat them kindly!! **We watched the USA-Portugal game last night. It was quite a game of very evenly matched teams. And, it was frustrating at the end. Just goes to show that in sports anything can happen and rankings don’t always matter. Ian enjoyed reading his book about the 32 teams and keeping tabs on the score. This is a first for him to be so engaged and into a sport. I love seeing all of the team spirit from all over the world. It is such fun. **I am sad to have missed some family events lately. I have been busy with some commitments or have been sick so we haven’t been able to make the latest get-togethers. I hope to see my brother, sister, cousins, and their families soon. There is still plenty of time this summer and we’ll have to make that happen. I am close with my family and love spending time with them. Just certain times of the year, things are busy and there isn’t a lot of time. I realize I can’t make it to everything, but do still want to be with these great people. 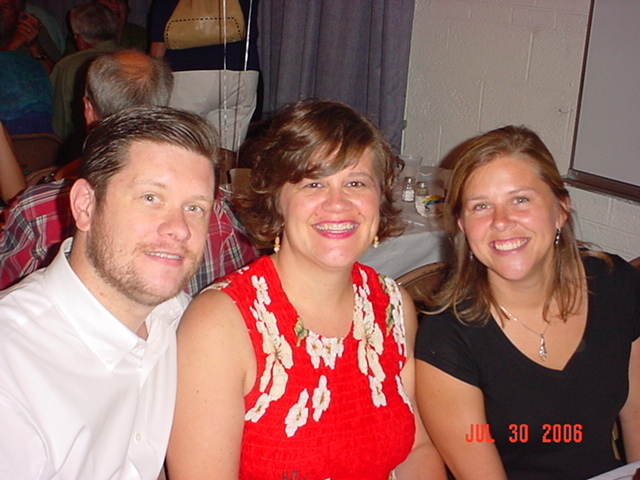 **This coming weekend, I will be spending with a few of my favorite people — some of my cousins. 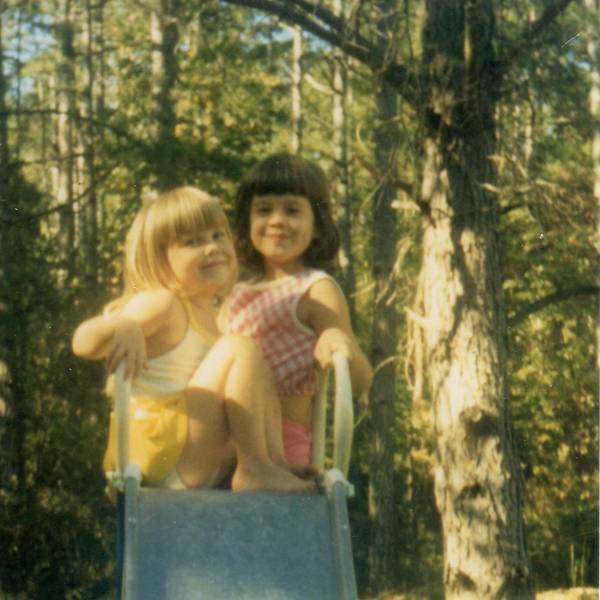 My cousin Pam and I have always gotten along and always pick up right where we’ve left off. She is truly awesome. It has been four years since we have seen each other and I have missed her so. I look forward to a lot of laughter and fun times together! Her husband, daughters, and granddaughter are awesome as well. We always have such a fun time with them. I wonder what the rest of this Monday will bring? I look forward to finding out. Hope you have a great one! Summertime and the livin is easy. Hi and Happy Summer! And TGIF! We are having a very nice, although hot and humid summer. How about you?! We have had lot of rain and thunderstorms and last night even some pea-size hail. This morning, Ian asked me if summer is the rainy season. I told him not normally, but it certainly has been so far this summer And, there is a chance of rain every day for the next week. This photo is of Ian a few years ago. He was having a great time at the beach. He loves to play in the sand and in the water. I was a day late on Throwback Thursday, so thought I’d post this now. For a child, the days of summer can run together. That is why we talk each morning about the day of the week and the date. Ian has a calendar that he has been marking off. He is very excited that tomorrow is the official start of summer. This summer we are playing, having time on the computer, seeing friends and family, riding his bike with training wheels, drawing and coloring, reading, and doing some school work as well. It isn’t a lot of work, just enough so he doesn’t lose all that he learned during the school year. I wonder what we’ll be doing next in this lazy, hazy summer. Can’t wait to find out! Today is their anniversary! I hope and pray that they have a fabulous day and will enjoy celebrating their many years as husband and wife. Here they are on their wedding day. I love this picture of the two of them. He is such a handsome groom and she is a lovely bride. 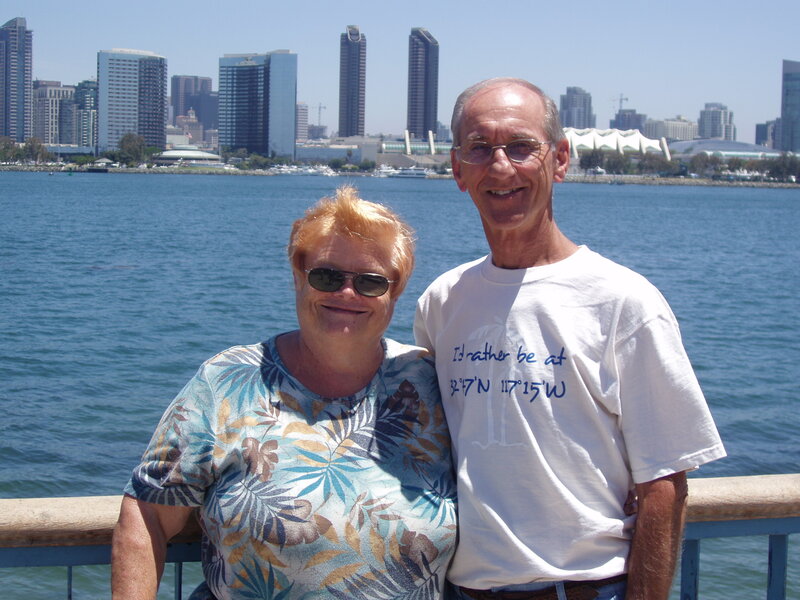 The other photo was taken a few years ago in San Diego. They are still crazy about each other and love one another very much. 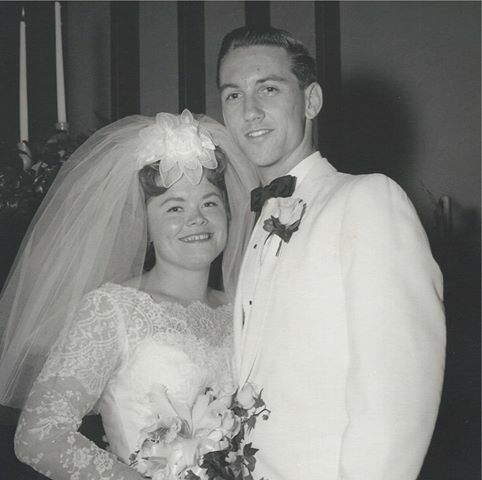 My parents have taught me all about marriage, friendship, family, faith, love, and so much more. They are awesome! They are wonderful parents and grandparents and are loved by all of us very much. Growing up and seeing how much they still love each other has helped teach me that love can last forever and that relationships can thrive. My siblings and I are fortunate to have had such an amazing model for marriage and what a partnership is truly all about. Love you both, you’re truly rad! Happy 49th Anniversary to you both!!!!!!!! Hi and Happy Sunday. Today is Father’s Day. Happy Father’s Day to my husband and to my dad! Also, I want to wish a Happy Father’s Day to my brother, father-in-law, brothers-in-law, cousins, uncles, grandfathers, and friends. There are many men in my life who are wonderful fathers and I wish the best for all of them. However, I don’t have photos included of all them in this blog. Here are photos of two fathers — my father, and my husband with our son. The first is of Kirk, Ian, and me while on vacation a few years ago. 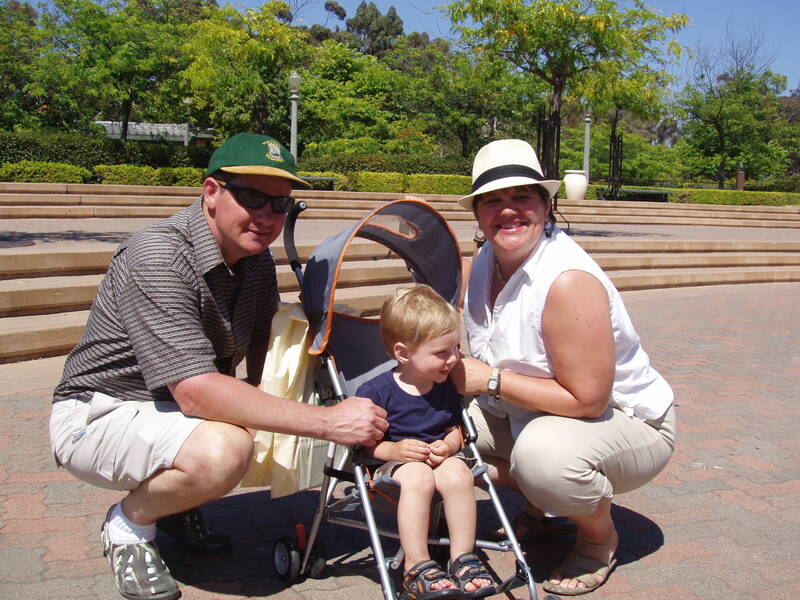 We were visiting Balboa Park in San Diego. 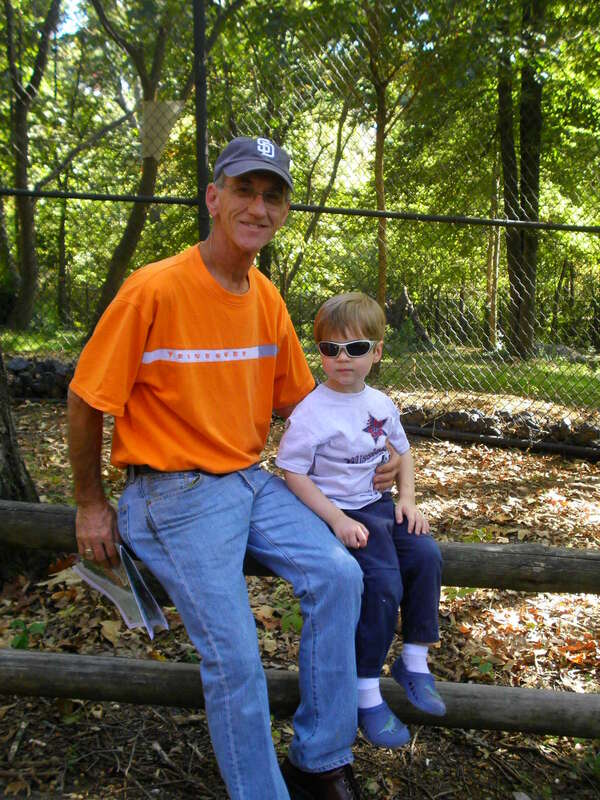 The second is of Ian and Dad a few years ago at a zoo. We had a fun day. 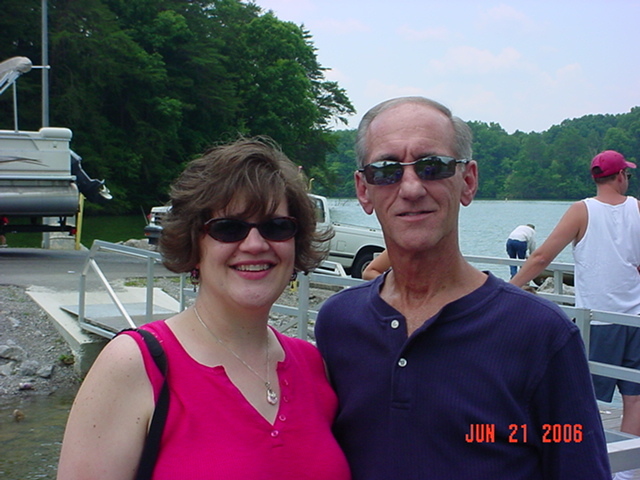 The third is Dad and me at a work picnic. 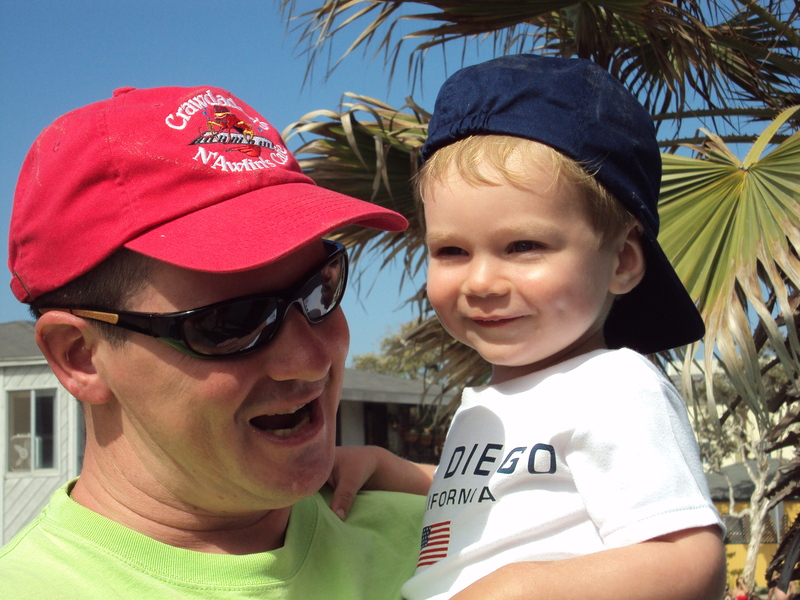 The fourth is of a little Ian with his Daddy at the beach. It is one of my favorites. On this Father’ Day, may you know how loved you are and may you have a great day. Hope you can celebrate! To Dads, you are an important part of your children’s lives, you are men who can teach and give so much, and you bring something special to your families. Today, I want to wish all the fathers in my life a special day! **To my husband, I am so glad you are the father of our child. You are a kind and loving man and a great daddy to our son. Our son is blessed to have you as his father and for your influence in his life. You have enriched my life in many, many ways. I am honored to be on this parenting journey and life’s journey with you. Love you! **To my Dad, thanks so much for all that you have taught me. You have shown me love, patience, kindness, and so much more. The importance of your children to you has been awesome as well. I always liked that you listened to me and made time for the three of your children. Now, I love that you love Kirk and our son and all of your family just as much. **”To my brother, I am glad to have known you your entire life and almost all of mine. I am so thankful we are friends and regularly see each other. You are an amazing man, father, and husband. I love you and am proud of all that you have become! **To my father-in-law, we are glad to be with you to celebrate the special day for fathers! I have learned a lot from you and appreciate all you have done for your children and grandchildren. **To my six brothers-in-law, you all are important and special to me and are men who I am glad to call friends. You are great dads as well. So glad to have all of you in my family! **To my cousins, I love each and every one of you so very much. I have been blessed to know you all of my life. You truly were my first friends. All of you who are fathers are wonderful! **To my uncles, thanks so much for being there for me throughout my life. I appreciate all you have taught me and shown me. **To my grandfathers, I love you and miss you very much. One of you I knew and the other I never had the pleasure of meeting. You both truly loved and appreciated your families and for that I am forever grateful. **To my friends who are fathers, hope you have a fabulous day with your families and can enjoy your time. I am also glad you are a part of our lives. To all fathers, may you have a wonderful day! Thanks so much for all that you do for our children. Hi and Happy Thursday. In honor of Father’s Day on Sunday, I decided to include pictures with my father for Throwback Thursday. 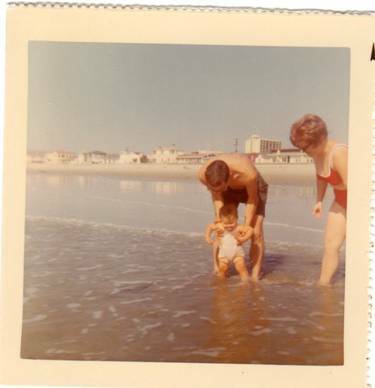 The first one is at the beach with my mom and dad when I was a baby. I think this was the first time I’d been in the ocean. I am so thankful that my parents introduced me to the beach at this early age. I have loved it ever since. I have a similar picture with Dad and Ian. I will have to post that again sometime. The second picture was taken a year and a half before Ian was born. Dad and I were at a work picnic. It is one of my favorite pictures of the two of us. We were having a fun day walking around the park, eating a picnic lunch, and visiting with our co-workers and friends. Sadly I won’t be able to be with my dad on Father’s Day but will be thinking of him fondly and will give him a call. We will have time to celebrate later in the month. I have had many fun times with my dad and for those I am so very thankful. Times at the beach, Lions Club activities, my wedding on his birthday, and reading and playing with Ian. He is an amazing father and grandfather. My dad is awesome and taught me so much and continues to do so. He is the first man I ever loved. Thanks Dad for everything!!! You rock!!! I wonder what fun times I will have next with my dad. I know the times will be something fabulous! 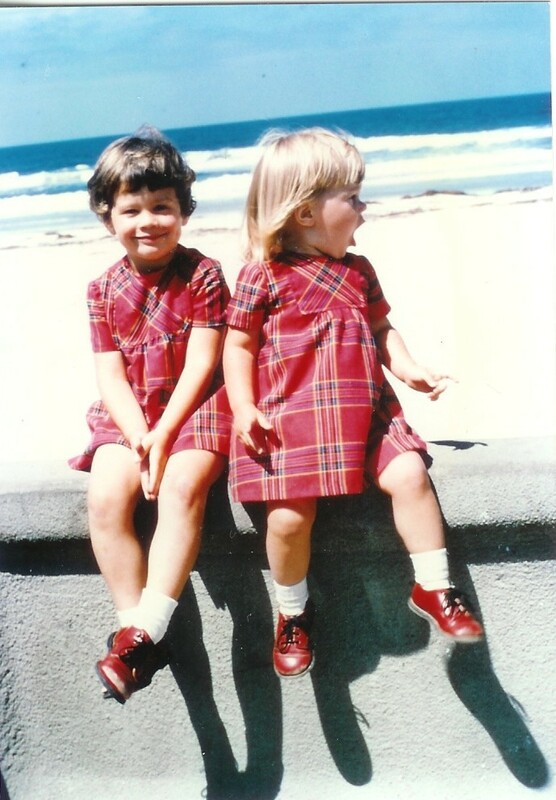 Tomorrow, June 8, is my sister’s birthday! Happy Birthday to you dear Cindy! Here we are with our brother. Cindy is the one on the right. We are 2 1/2 years apart so we have always spent lots of time together. We have always had fun and have been close. She is a true blessing. I am glad to call her my sister. We were each other’s maid/ matron of honor at our weddings. We have always been there for one another. When we had children, we were there to see the new gifts of life and celebrate together. I don’t know where I’d be without Cindy. She has blessed me beyond measure! I am truly thankful for all that she has taught me and shared with me. Many stories I won’t share because they should stay between sisters. Among all of the fun, there have been sad times too. We have been there for each other through those. She has always had my back and that means the world to me. Cindy, I hope and pray that you have a wonderful birthday and can celebrate! May you be pampered and have a great day. Hope to see you soon. Love you!!! Hi and Happy Friday. Today’s Five Minute Friday word is Hands. 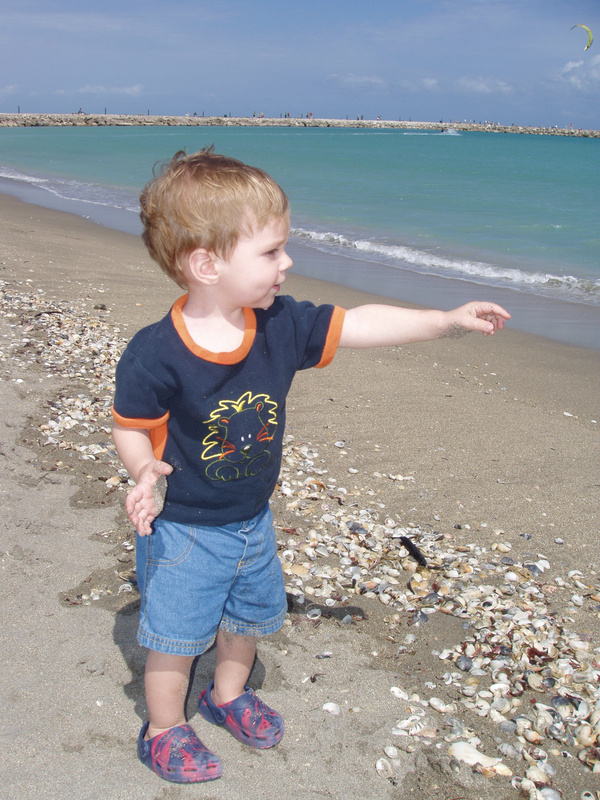 This photo shows Ian using his hands when he was a little guy. 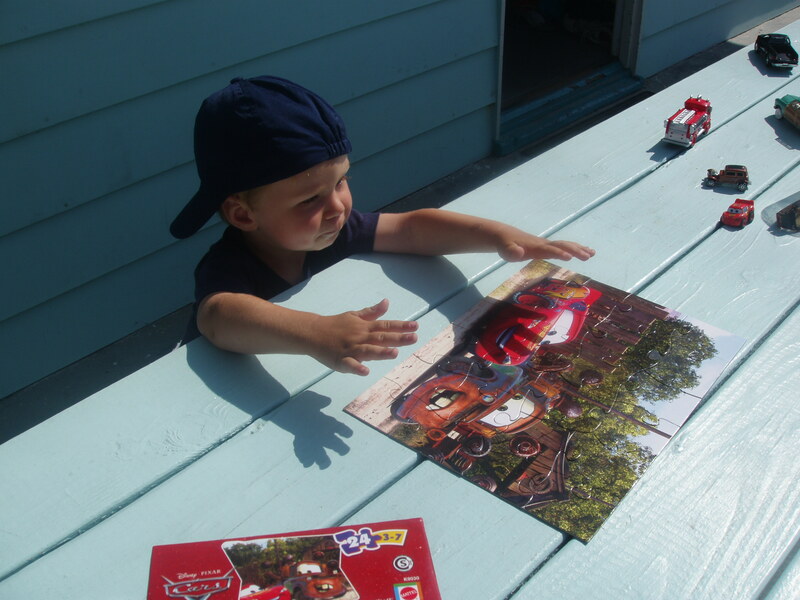 He had just finished putting the puzzle together. On your mark, get set, write… for 5 minutes. Hands… I have enjoyed seeing Ian’s hands grow and change throughout his young life. The day he was born, he was taken to the NICU in another hospital for a few issues. That night Kirk went to see him. As he was holding our newborn, Ian grabbed Kirk’s finger and held on really tight. He seemed to know his daddy and that was a comfort to him. I think it was a comfort to both of them. He was in the NICU for 4 days and nights before we could bring him home. After having carried him for 9 months, these were the longest days of my life. Each time we went, we held him and his hands and he held onto us; we fed him with the bottle and worked on breast-feeding, and we changed both his clothing and his diapers. Now we hold hands when crossing the street walking to and from school. There is nothing like the feel of that little hand in mind. I also like holding hands with my husband and always have. And sometimes all three of us hold hands together and that is fun as well. When our family gets together for parties and holidays, we hold hands to pray. The circle of love is awesome and very special. It is great to be a part of this circle and to hold hands with another family member. Hands build, work, create, cook, bake, comfort, feed, communicate, and celebrate. They are the most common way to touch someone else. And, we praise and pray with them as well. Before starting to write this blog, I hadn’t thought about how much I use my hands and take them for granted. I will do my best not to do so anymore. Times up! I wonder what we will be doing with our hands today? I look forward to finding out. 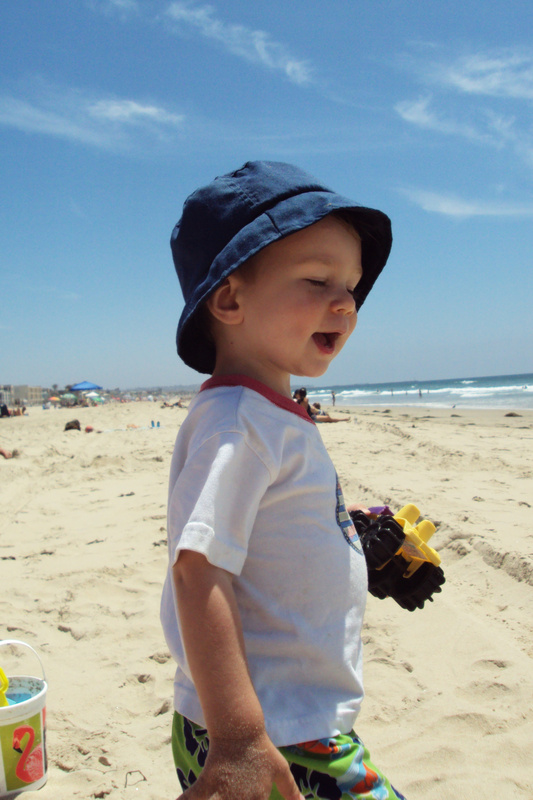 For today’s Throwback Thursday, I decided to include a picture of Ian at the beach a few years ago. He looks like he is talking about what he wants to do next. Just like me, he loves the beach and always has such fun while he is there. Then again, being a kid he is happy in whatever he is doing. I love how he has taught me to live in the moment. We’ve almost finished our first week of summer and we are having a blast! We attended a fun cookout, have been playing at home, reading books for the summer reading program, eating ice cream cones at home a few times, spending time on the computer, and coloring and doing other art projects. So far so good. Summer and the living is easy and fun. We are sleeping in a little bit — well just 30 minutes so far. Hopefully as we go along there will be some later mornings but I doubt it. After a year of getting up at the same time 5 days a week, it’s hard to change for summer. I wonder what the rest of this first week of summer will bring? I hope it’s something fun and can’t wait to find out. Take care!